Digital Equipment Corporation PDP-7/A S#104 was installed at Massachusetts Institute of Technology and used in project MAC, now the Laboratory for Computer Science, where another milestone in the development of computers was developed- time-sharing. 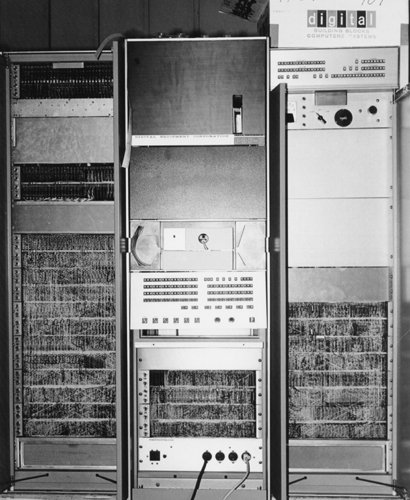 Founded in 1963 as Project MAC (Multiple Access Computer and Machine-Aided Cognition), the Laboratory developed the Compatible Time-Sharing System (CTSS) one of the first time shared systems in the world, and Multics - an improved time-shared system that introduced several new concepts. These two major developments stimulated research activities in the application of online computing to such diverse disciplines as Engineering, Architecture, Mathematics, Biology, Medicine, Library Science, and Management. See the Wikipedia page.